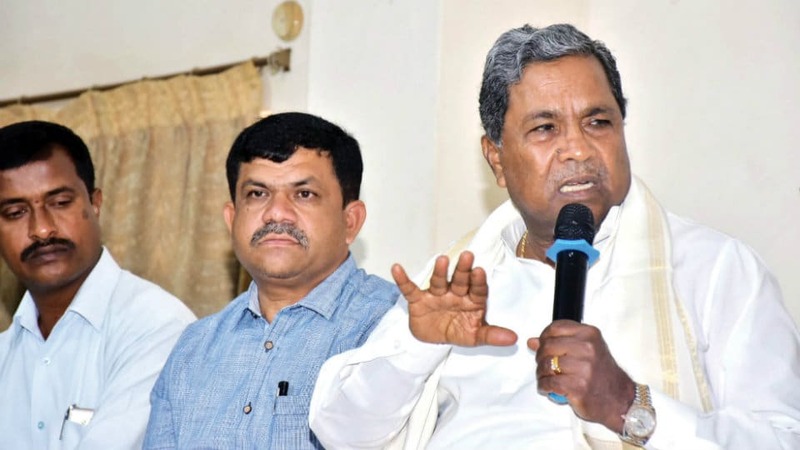 Former CM and Congress Legislature Party leader Siddharamaiah, seeking votes for coalition candidate C.H. 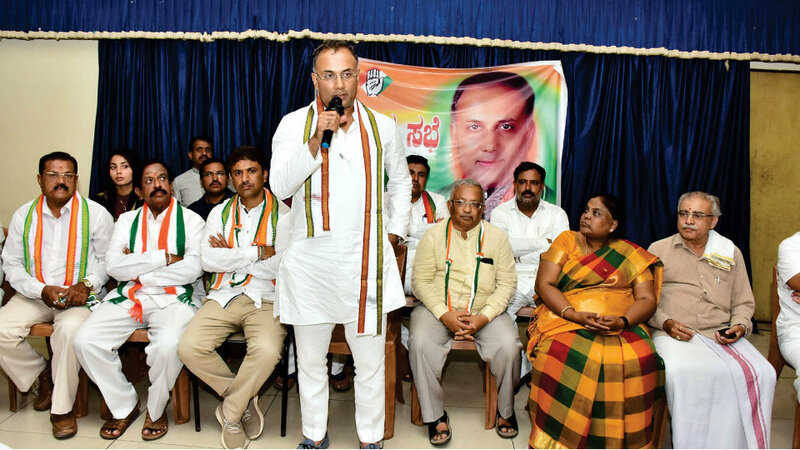 Vijayashankar at a public programme organised by former Corporator Suhail Baig and Congress leader Tippu near Meelad Park on Ashoka Road in city on Monday evening. 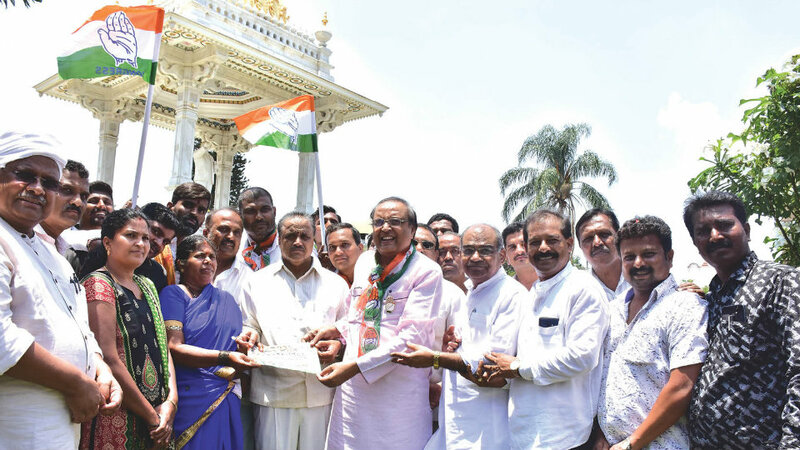 Others seen are Mayor Pushpalatha Jagannath, MLA Tanveer Sait, former MLA Vasu and Congress leaders. 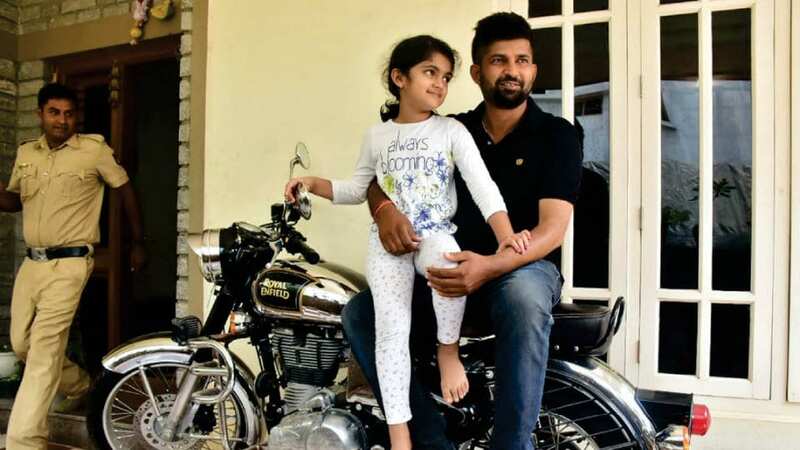 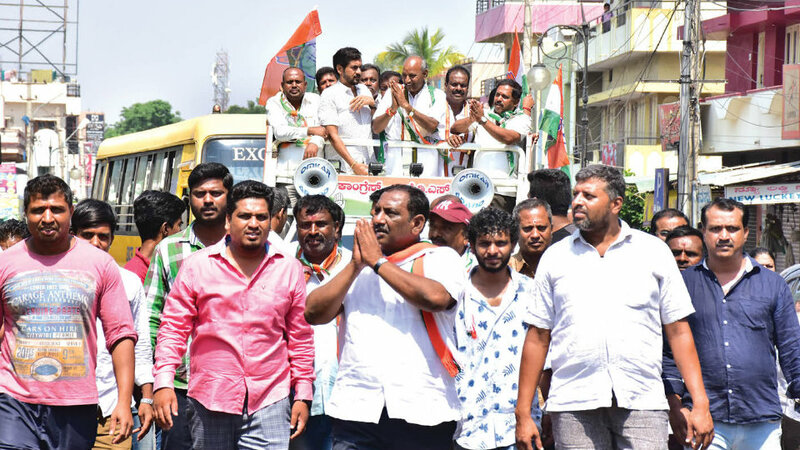 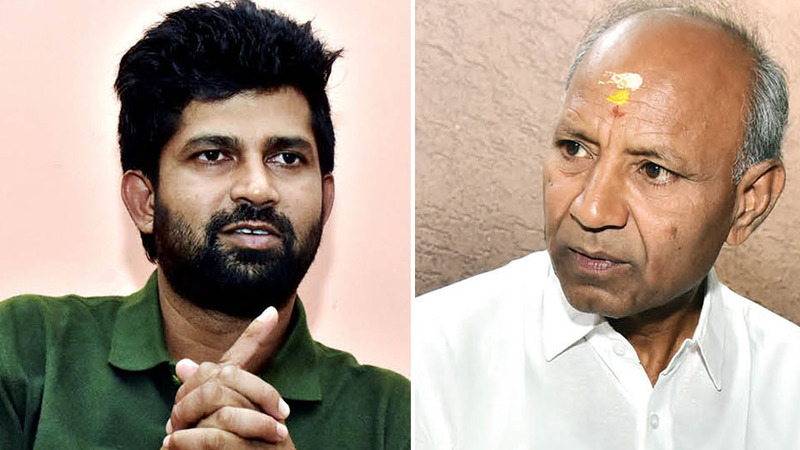 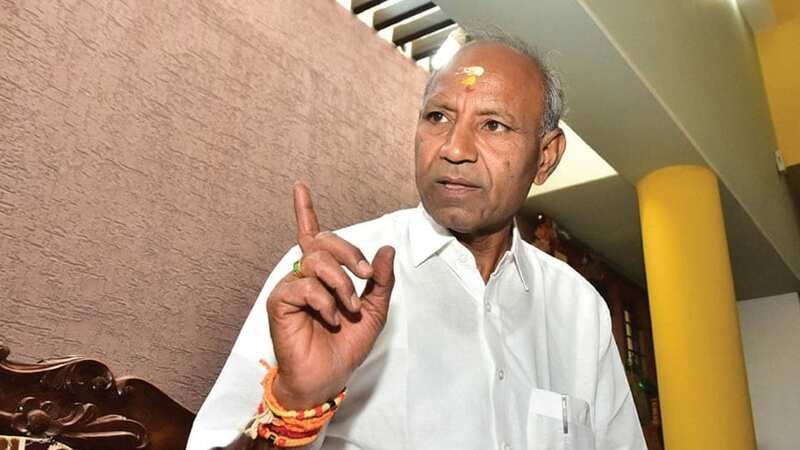 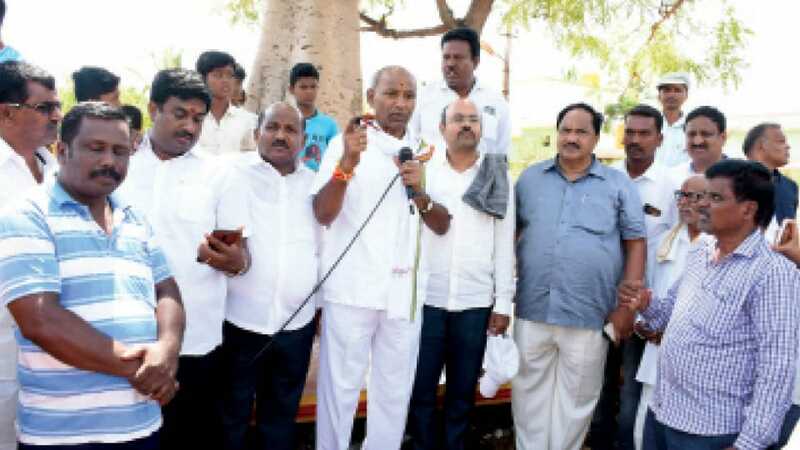 Mysuru: KPCC General Secretary Mukhyamantri Chandru launched a tirade against BJP alleging that it is going on deceiving people of the country in the name of building Ram Temple in Ayodhya and trying to polarise the people in the name of democracy. 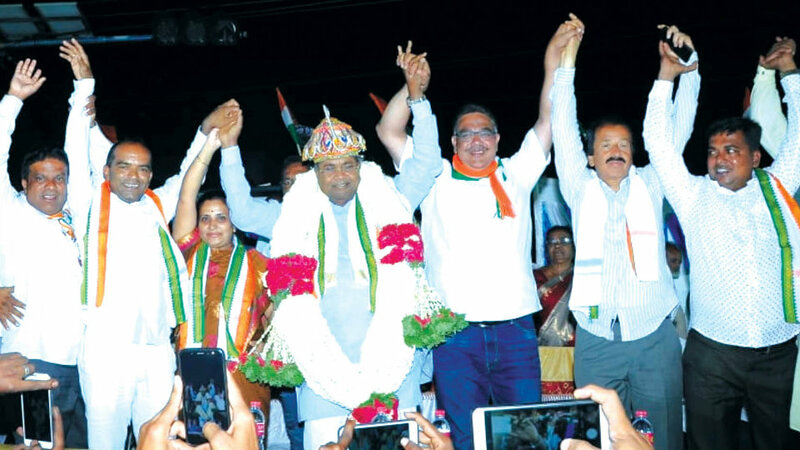 He was speaking after offering floral tributes to the statue of Dr. B.R….